Former Gov. Rosellini dies at 101, SeattlePI.com, Oct. 10, 2011. To learn more, see Payton Smith, Rosellini: Immigrants' Son and Progressive Governor, F895.22.R67 S65 1997 at Classified Stacks. Publisher's page. More than any other person, Rosellini was responsible for the long overdue restructuring of the state's prison and mental health systems, introducing both fiscal and human accountability. His interest in transportation led to the Evergreen Point, Hood Canal, Astoria-Megler, and Goldendale bridges as well as an expanded highway system. His reforms in state budgeting brought the state's financial decisions into the daylight, making detailed scrutiny and accountability possible for the first time, while his work on commerce and trade helped bring the state into its modern position as a player in the Pacific Rim economies. He was a legislative father of the University of Washington's medical/dental schools, and his support of higher education enriched the state's universities and colleges and created a sound, comprehensive junior college system. 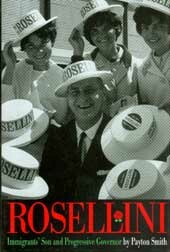 Rosellini was the first Italian-American and the first Catholic governor west of the Mississippi. The only son of immigrant parents, he worked to support his family while finishing high school in three years and then passed the bar exam at age twenty-three. Six years later he was elected to the Washington State Senate as its youngest member. One of the New Deal Democratic majority, he quickly gained an insight into the legislative process that served him throughout his career. The annual UW Reads the Constitution will be Tuesday, November 1, from 12:00-1:15, outside the Suzzallo Library Main Reading Room (3rd floor). Readers are needed (and a crowd to listen). It's an interesting and inspirational event. You can find more information here. And the sign up here. If you are not affiliated with the UW, you are still welcome. Use the ProtectNetwork option or e-mail govpub@uw.edu. Don't want to read? Just come and listen - you may be surprised! Derrick Bell, a legal scholar who saw persistent racism in America and sought to expose it through books, articles and provocative career moves — he gave up a Harvard Law School professorship to protest the school’s hiring practices — died on Wednesday in Manhattan. Derrick Bell, Pioneering Harvard Law Professor, Dies at 80 - NYTimes.com, Oct. 6, 2011. A new edition of the annual factbook has been released by the U.S. Census Bureau. The Statistical Abstract of the United States, published since 1878, is the authoritative and comprehensive summary of statistics on the social, political, and economic organization of the United States. Use the Abstract as a convenient volume for statistical reference, and as a guide to sources of more information both in print and on the Web. Sources of data include the Census Bureau, Bureau of Labor Statistics, Bureau of Economic Analysis, and many other Federal agencies and private organizations. Mobile Apps for Law Students and Lawyers is a great guide by our colleagues at UCLA's law library, listing apps for iPhones, iPads—and also Android, Blackberry, Palm, and other devices. Reverend Fred Shuttlesworth, who was a leader in Birmingham's civil rights community through the 1950s and 1960s, has died at age 88. See (or hear) Rev. Fred Shuttlesworth, Civil Rights Pioneer, Dies, All Things Considered, NPR, Oct. 5, 2011. The protests in Birmingham organized by Rev. Shuttlesworth and his colleague Rev. Martin Luther King, Jr., whom he invited to the city, were significant in the passage of the Civil Rights Act of 1964. 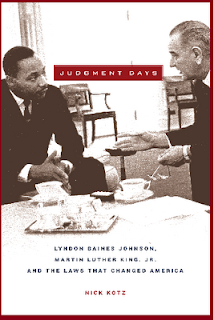 See David Benjamin Oppenheimer, Kennedy, King, Shuttlesworth and Walker: The Events Leading to the Introduction of the Civil Rights Act of 1964, 29 U. S.F. L. Rev. 645 (1995), available at http://ssrn.com/abstract=1500045. Nick Kotz, Judgment Days: Lyndon Baines Johnson, Martin Luther King, Jr., and the Laws That Changed America, E847 .K67 2005 at Good Reads. Publisher's page. 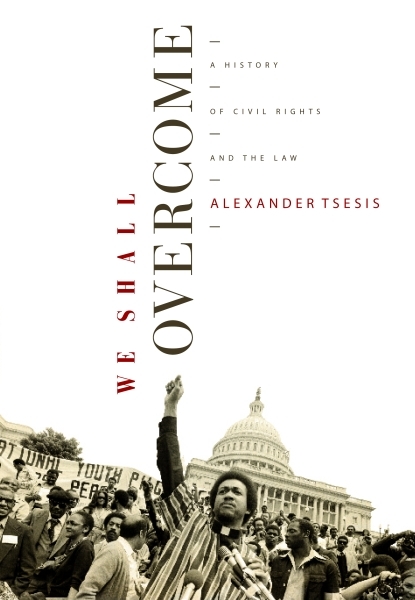 Alexander Tsesis, We Shall Overcome: A History of Civil Rights and the Law, JC599.U5 T74 2008 at Classified Stacks (currently checked out, but you could request it). Publisher's page. 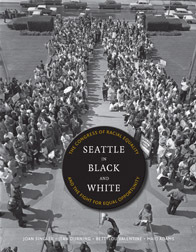 And for a look at the local story, see Joan Singler et al., Seattle in Black and White: The Congress of Racial Equality and the Fight for Equal Opportunity, F899.S49 N464 2011 at Classified Stacks. Publisher's page. To raise awareness and dialogue regarding foreign, comparative, and international law, the UW School of Law presents Global Mondays this year, which will take place every Monday from 12:30pm to 1:20pm in Room 117 of William Gates Hall. The weekly event will continue throughout the school year as a forum that examines the “intersection of law, policy and the role of legal professionals in our increasingly complex and interconnected world.” Global Mondays is an invaluable learning experience for those of us seeking to explore an array of subjects ranging from climate change in Indonesia to women lawyers in Kyrgyzstan and Azerbaijan. This week, the Asian Law Center hosted the Law Through Global Eyes Lecture. Dr. Myoung Ung Lee, a UW LL.M. candidate in Asian Law and former UW Visiting Scholar, gave a fascinating lecture titled Comparing Judicial Review: U.S. v. South Korea (A European Model). Dr. Lee demystified the concept of judicial review in different civil and common law systems around the world by detailing its history in the U.S., Europe, and East Asia. He then praised the merits and cautioned against the faults of the various countries’ standards of review, procedure, effects of decisions, and judicial independence in relation to judicial review. For further reading on the subject, consult Miguel Schor, Mapping Comparative Judicial Review, 7 Wash. U. Global Stud. L. Rev. 257 (2008), available at http://ssrn.com/abstract=988848, and Adam M. Dodek, A Tale of Two Maps: The Limits of Universalism in Comparative Judicial Review, 47 Osgoode Hall L.J. 287 (2009), available at http://www.ohlj.ca/english/documents/03_Dodek_FINAL.pdf. Greg Chiarella will present Sources of law, Sources of Authority: The Failure of the Code of Muslim Personal Laws of the Philippines. 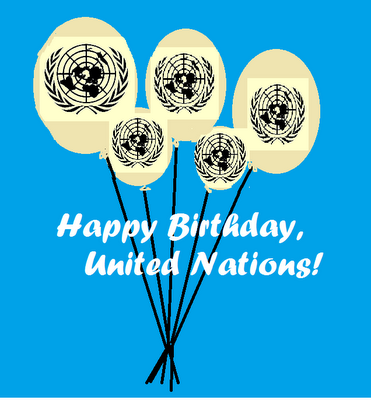 Over the course of the year, students from around the globe will come together to share their unique insights of law in the world. 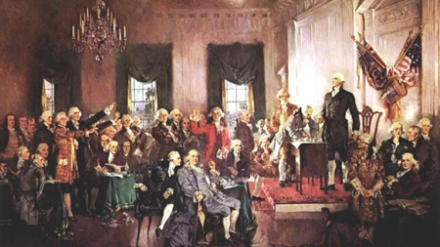 Session laws are the laws published in the order they were passed during legislative sessions. We have a complete set for Washington, of course, but for other states, we've had to rely on microfiche in combination with print. Microfiche is a whole lot better than no access at all, but it can be cumbersome to deal with session laws in fiche, especially if you're trying to trace multiple amendments to a statute over the years. HeinOnline has been building its Session Laws Library for a few years. And in its September newsletter the company announced that the files now go all the way back to inception for each state. So on HeinOnline you can find, e.g., all the Illinois session laws 1809-2010. For many states, the library even includes territorial session laws. Washington's coverage includes territorial laws, 1854-1888, as well as state laws, 1889- . Many law students turn first to LexisNexis and Westlaw for most of their research. 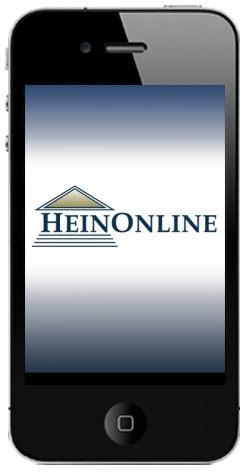 Those systems do have a lot of great content, but in this case, you'd be better off with HeinOnline or the legislature's site if you're looking for anything older than 1988. For instance, on Westlaw, the backfiles of the legislative services for Illinois (IL-LEGIS-OLD) and Washington (WA-LEGIS-OLD) start in 1988. On LexisNexis, the Washington Advance Legislative Service (WAALS) and the Illinois Advance Legislative Service (ILALS) both cover 1989-present. 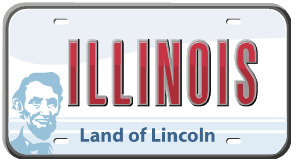 Update (Oct. 3, 2011): I didn't want to have all my examples be Washington, so I chose Illinois arbitrarily. Today, through my colleague Peggy, I learned that the Western Illinois University Libraries and the Illinois State Library have a project to digitize Illinois laws. The project is incomplete, but you can already see all the laws from the Northwest Territory days through 1920. You can read the laws from when Abe Lincoln was practicing! This reinforces my point: don't rest with LexisNexis and Westlaw: check to see what other resources are out there! Perhaps no other legal topic conjures richer historical images than admiralty law. 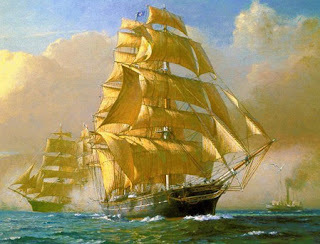 One can imagine the wooden ships on the high seas, sails in the wind, crashing through the waves. In spite of the images, admiralty law is far from being a historical relic. In Getting the "Story" out: Teaching Admiralty at the University of Washington, St. Louis Univ. L. J. 621-32 (2011), Professor Craig Allen points out that admiralty touches a number of current legal issues. Through the article, Professor Allen introduces admiralty as a highly relevant and engaging subject. 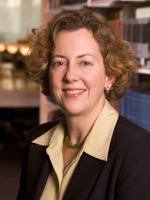 Though not directly tested on the Washington State Bar, Professor Allen points out that many third year students find the course to be invaluable in bar preparation. Many bar-tested issues are reviewed through the admiralty course, including concepts in constitutional law, torts, and civil procedure. In addition to unique subject matter, the admiralty course at the UW is taught in an innovative fashion. Shunning the traditional law school model, admiralty is taught as a “mastery course.” In contrast to traditional law courses, mastery courses emphasize more practical problem-solving skills. Rather than a single essay exam, students are given a number of written assignments over the quarter that require them to answer strategic questions that lead to an ultimate outcome. Admiralty Law courses at the UW are currently offered in alternating years. Sadly, two courses, International Law of the Sea and the Marine Law and Policy Seminar will not be offered this year. However, U.S. Coastal and Ocean Law will be offered in the Spring.